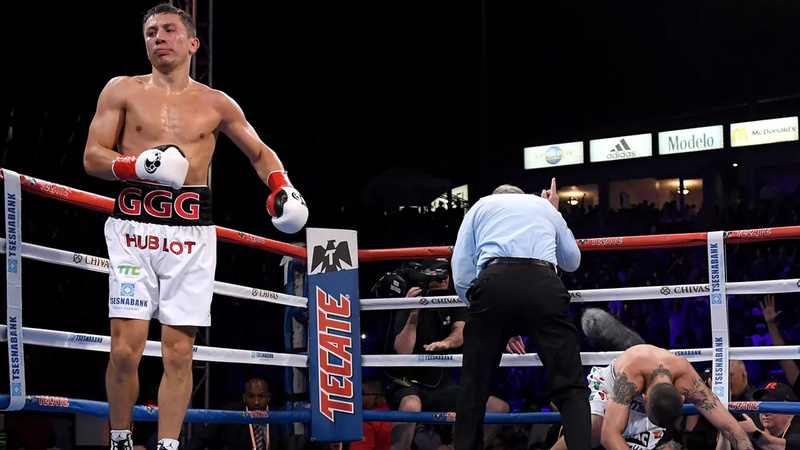 Gennady Golovkin made the most of Canelo Alvarez’s replacement, Vanes Martirosyan, delivering a vicious second-round knockout. Martirosyan was filling in for Alvarez, who had been pulled from the GGG rematch after failing a Nevada State Athletic Commission test. Martirosyan did land a decent combination towards the end of the first round but was quickly overwhelmed by Golovkin in the second round, keeping the jab in his face and landing heavy power punches. A ridiculous combination from Golovkin put Martirosyan away, and GGG keeps his undefeated record intact. While boxing fans are still clamoring for a rematch of the draw between Alvarez and Golovkin, that will have to wait as Canelo sorts out his suspension. But for now, Golovkin scores his first finish since his 2016 defeat of Kell Brooks.